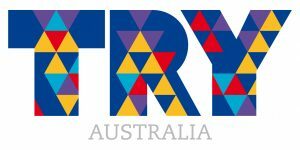 TRY Australia is seeking to appoint an outstanding Chief Executive Officer (CEO) to provide visionary leadership and extend the reach of the organisation across the Victorian community. Reporting to the Board, the CEO will lead the evolution and implementation of the strategic plan and identify opportunities to grow and enhance the objectives of TRY Australia. Maintaining a strong public profile, the CEO will play a vital role expanding service offerings and further strengthen stakeholder relationships across all levels of government, community and corporate entities. You will be an experienced and influential leader skilled in implementing strategy and driving key initiatives. A demonstrated track record of building and leading a high-performing executive team, coupled with excellent communication skills and the ability to initiate high-level public engagement and shape thinking in social enterprise, will be essential. With a commitment to addressing social disadvantage and with a record of achievement in a complex services-based environment, you will have proven ability shaping a client focused organisation and be equipped with well-developed emotional, conceptual, commercial and financial expertise. TRY Australia provides young people who are disadvantaged or at risk with opportunities to make fresh starts. For young families and vulnerable children, TRY Australia creates safe learning environments. To apply – please go to www.fisherleadership.com and click on ‘APPLY ONLINE’, clearly referencing code TRYceo0319 and address your cover letter and resume to Kate Wheeler of Fisher Leadership or call +61 1300 347 437 for further information.